Reading Time: 2 minutes Red Hat has announced that it has signed a definitive agreement to acquire CoreOS, an innovator and leader in Kubernetes and container-native solutions, for a purchase price of $250 million, subject to certain adjustments at closing that are not expected to be material. Red Hat and CoreOS’s relationship began many years ago as open source collaborators developing some of the key innovations in containers and distributed systems, making automated operations a reality. 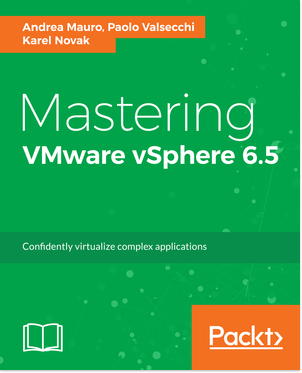 Reading Time: 2 minutes One month ago, the Mastering VMware vSphere 6.5 book has been published and we already have some interesting feedback. Considering that it’s the first book experience (not only for me but also for the other co-authors), and that neither of us it’s a native English speaker, we are really interested in more feedback (positive or negative) as possible, in order to improve, in the case of a new edition or a new book. Reading Time: 4 minutes Big Switch Networks announced that Big Cloud Fabric (BCF) now supports a robust ecosystem of the leading hyperconverged (HCI) solutions, including: VMware vSAN, Dell EMC ScaleIO, and Nutanix. Big Switch Networks is a company in the Software Defined Network (SDN) area with a clear declared mission: to bring network innovation to a broader audience, by delivering fit-for-purpose products based on hyperscale networking technologies. 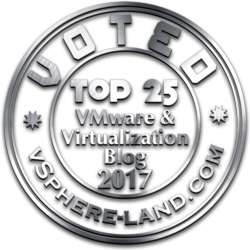 Reading Time: 3 minutes Vembu is a player in the backup and data protection world, maybe not (yet) well-know, but for sure not new at all and with a complete suite that covers the physical world, the virtual (VMware vSphere and Microsoft Hyper-V) and also some public cloud SaaS solutions. 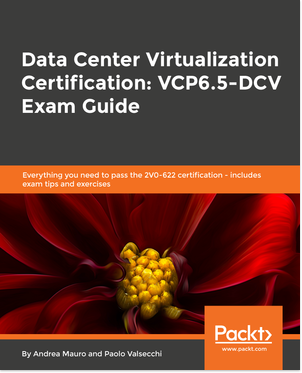 One of their product is the Vembu Backup&DR (BDR) Suite that helps you to backup the virtual and physical machines and aids your business continuity, having VMware, Hyper-V, Physical Windows Servers, Workstations, Linux, and Mac with RTO & RPO<15 minutes and minimal administration effort.